Facebook just sounds like a social media site, but the word facebook originates from something. I looked online and found nothing relevant to the origin of the word. Would you please shed a light? Note: The question is about the noun facebook and it is not directly asking the origin of the proper noun Facebook (the company name). The noun facebook is not easily searchable in Google and Google Books (because of the vast amount of "Facebook" results). Additionally, Google doesn't offer case sensitive search. It is not in OED also. We were supposed to send in a picture to be in the freshman facebook. I didn't want to have my face in the facebook. @ermanen's etymology is correct, and Harvard definitely had a physical printed book that listed students' names and addresses, but Zuckerberg most likely got the name of his social media site from the printed directory produced by his high school, Phillips Exeter Academy. 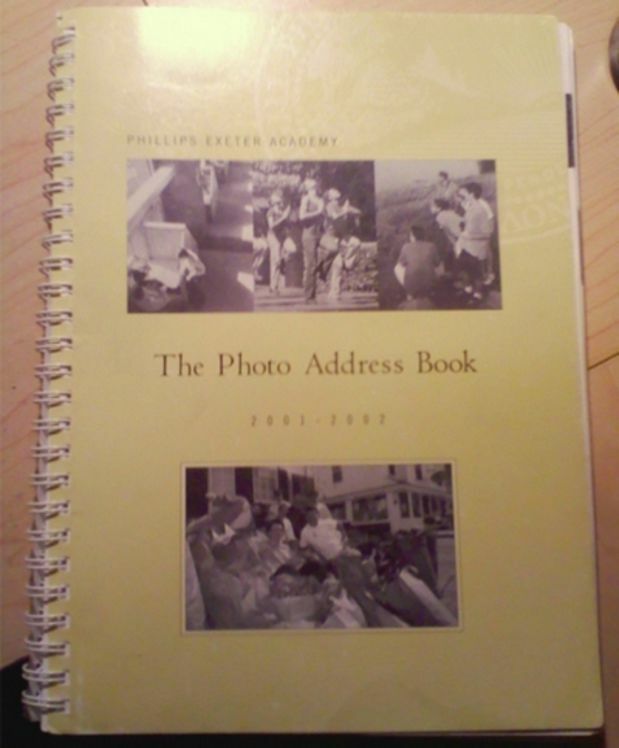 "The front cover says "The Photo Address Book," but we all called it "The Facebook" all the time because "The Photo Address Book" was such a mouthful. Everybody called it that." Also note that the first version of Zuckerberg's site was called "The Facebook". And here's a fun clip from the movie The Social Network where you hear Harvard students referring to it as "the facebook". George Utley: The Beavers are putting out a facebook. When I went to college in the sixties both my school, Rhode Island School of Design and neighboring Brown University had mug books or face books wher you could search for your classmates by name or face.